WHY USE "Trip's Mobile Detailing?" "Don't make it look older... make it look NEW again." 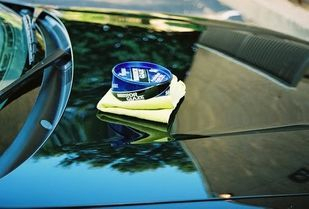 We service all of North New Jersey area and are the leading mobile auto detailing service around. Don’t pay for a disappointing service at your local “car wash” when we can fully detail your vehicle! Our employees are certified auto detailers with certificates in automotive appearance. We treat your vehicle like it’s our own! Qualified, Presentable staff with Certificates in automotive appearance. We use only the finest products available. Our waxes and cleaners are of the best quality and are environmentally friendly. We use high-end products and do not cut corners. We provide on-site training to show you step-by-step instructions on how to take care of your own vehicle. "We do not wash your car, we detail it!" All of our products are environmentally friendly and achieve the very best result. Many convertible tops are made of cloth today AKA “stay fast” material. These cloth tops are prone to environmental fallout, staining and spotting. Vehicle’s cloth roof is first thoroughly cleaned with a special cleaning agent formulated especially for fabric convertible roofs. Once cleaned and dried Rag Top fabric protection is applied to protect fabric from the environmental elements. Remove caked up grease and grime that has deposited on firewalls, liquid containers and valve covers. Engine compartment is then “dressed” with a non-silicone low sheen dressing that gives a clean look without that cheap greasy shine. This exclusive dressing will not attract excess dirt. Want to chrome dress your engine? Rain-x is applied for incredible visibility in the rain! A must have. Click here to learn more about Rain-X. We staff certified auto detailers with certificates in automotive appearance with over 30 years’ experience.